SOFIA, Bulgaria (BulgarianMilitary.com) – Bulgaria has never been pressured to choose the F-16. “This is a Bulgarian sovereign decision. Bulgaria is our partner, a member of NATO and the EU.” This, the U.S. Ambassador to Bulgaria Eric Rubin assured in an interview with BTV on the upcoming talks with the U.S. on the purchase of a new fighter, learned BulgarianMilitary.com. According to him, it is not right for the original price to be criticized without taking into account that the other fighters in the competition in some cases do not even have armament. Their upgrading with weapons and avionics, as well as with other equipment purchased from the U.S. on a commercial basis, might even exceed the price of the U.S. F-16. He expressed hope that the parliament’s decision to start negotiations with the U.S. would lead to a successful concluding of a contract and a successful sale because, according to his words, the purchase of modern fighters to Bulgaria has been postponed for too long and our Air Force doesn’t have the capabilities it should. 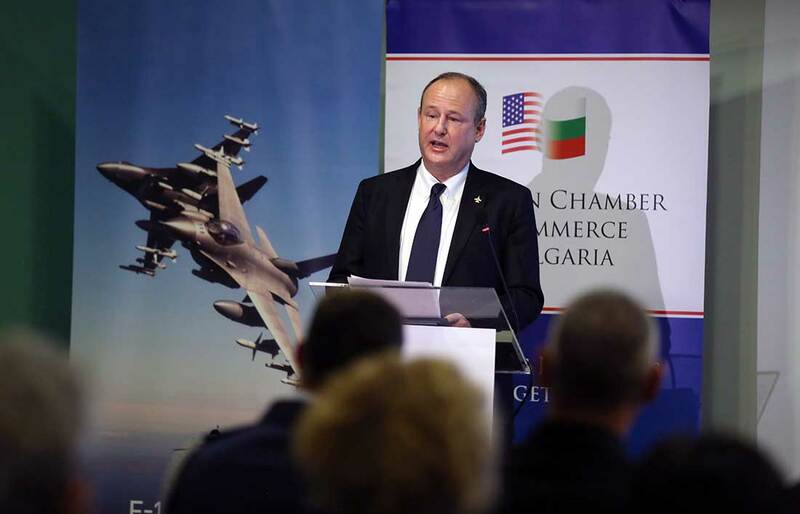 “Nobody talks about a large fleet, but for Bulgaria to have the capabilities necessary to defend itself in the world today, to participate in the defence of the region along with other NATO allies,” the Ambassador stated further. He also notes that any other NATO member state in the region has the F-16 so if Bulgaria buys the U.S. fighter, it will join this group – to fly together, to interoperate and to conduct joint maintenance trainings. Last week, Sweden’s Defence Minister Peter Hultqvist said that the Kingdom of Sweden respected the decision of the Bulgarian Parliament to approve a mandate to start negotiations with the U.S. government on a new F-16 aircraft. Sweden is ready to hold new talks on the topic if it is necessary in the future. This, he said to his Bulgarian counterpart, Krasimir Karakachanov, during the informal meeting of the Defece Ministers of the EU Member States held on 30th and 31st January in Bucharest, Romania. According to the Bulgarian MoD the Swedish side initiated the meeting. The Swedish Defence Minister has highlighted the characteristics of Gripen as an excellent alternative to the already-made Bulgarian decision. During the meeting, Karakachanov and Hultqvist discussed the Kingdom’s experience in restoring compulsory military service. Since the beginning of 2018, conscripts have served in the Armed Forces of Sweden from 9 to 12 months. Minister Karakachanov thanked for the detailed information on this issue and stressed that in Bulgarian society this debate was already on the agenda.